PrePaid Power lets you pay for electricity in advance and works just like fueling your car. But instead of adding gallons of gas, you add kiloWatts of electricity to your electric meter. 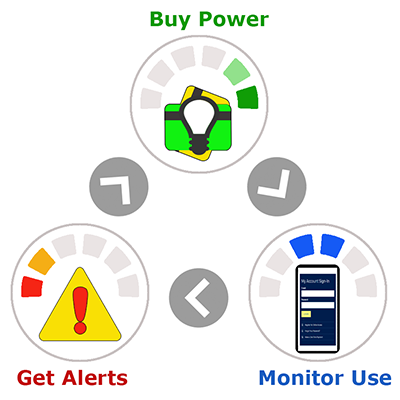 With PrePaid Power you can monitor your daily electric usage and make necessary adjustments to your consumption, allowing you to have more control over when and how much you pay. Instead of receiving monthly bills, you will receive alerts by text, email, and/or phone call when your balance is getting low. This gives you the flexibility to make smaller, more frequent payments instead of one single, larger payment every month on a specific due date.